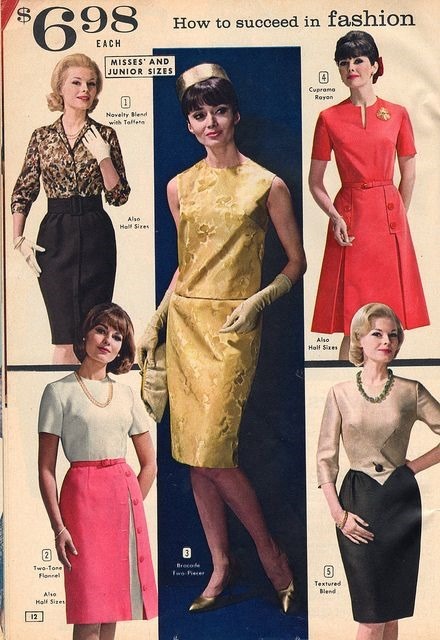 Mirroring the social movement of the time and bravely breaking established trends, the 1960’s were an era of fashion innovation. 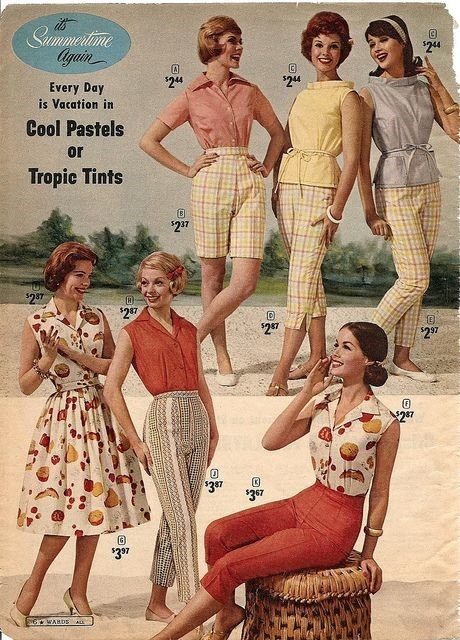 The era saw the introduction of the mini-skirt, bikini, capri pants, culottes, go-go boots, polyester and PVC clothes, bell-bottom jeans, paisley prints, tie-dye T-Shirts, and more fashion innovations, many of which remain popular today. 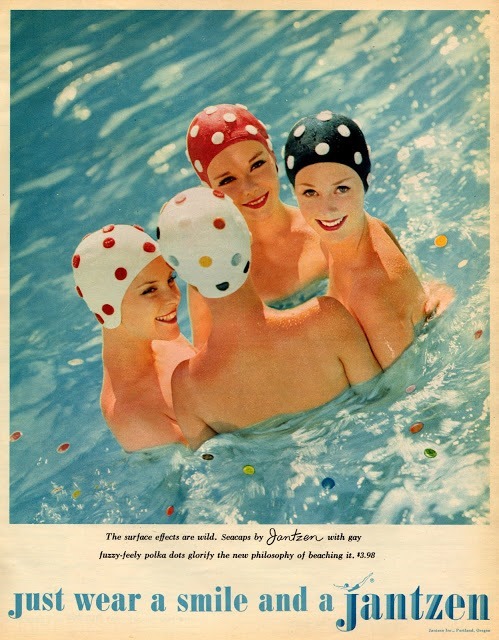 As would be expected from the vibrant era, eye-catching, vivacious advertisements were used to showcase the products. 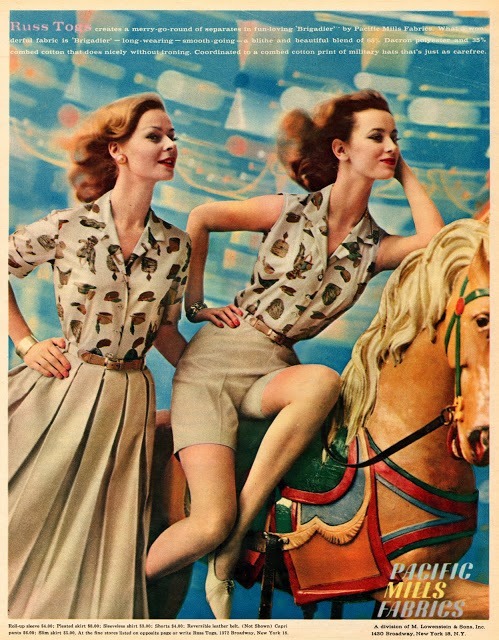 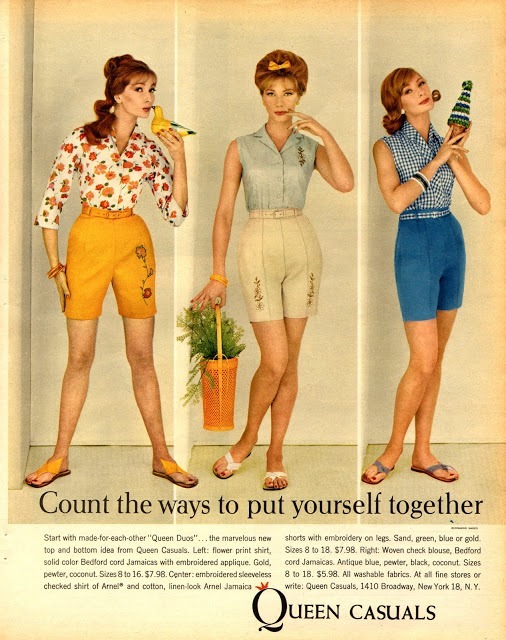 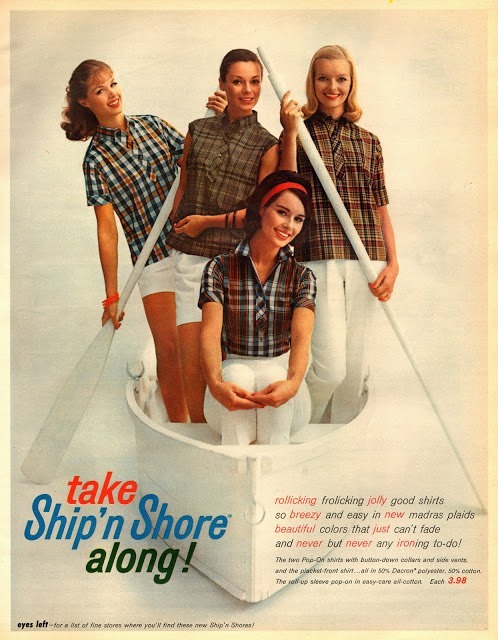 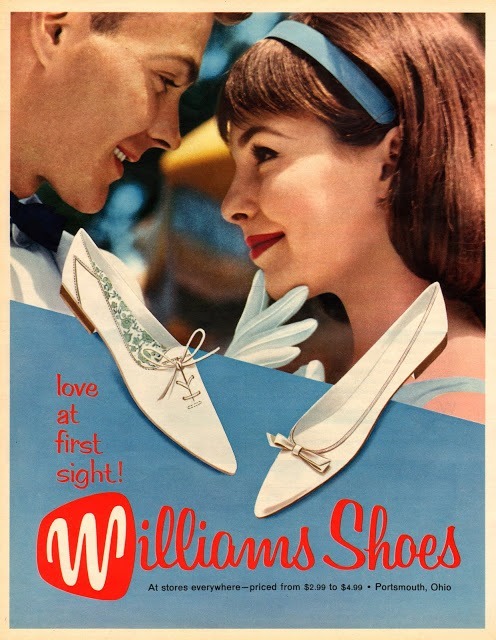 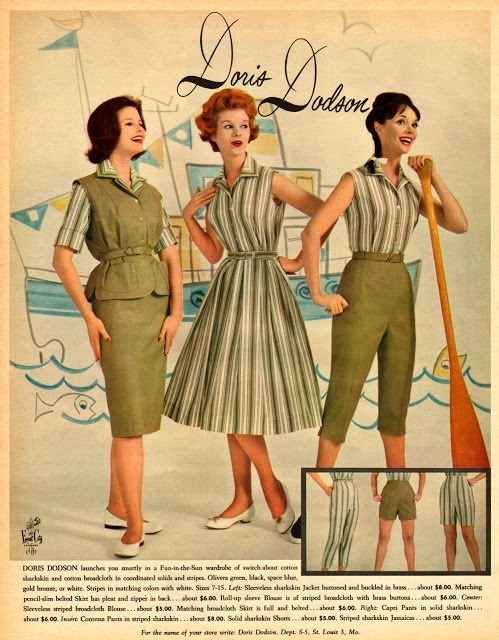 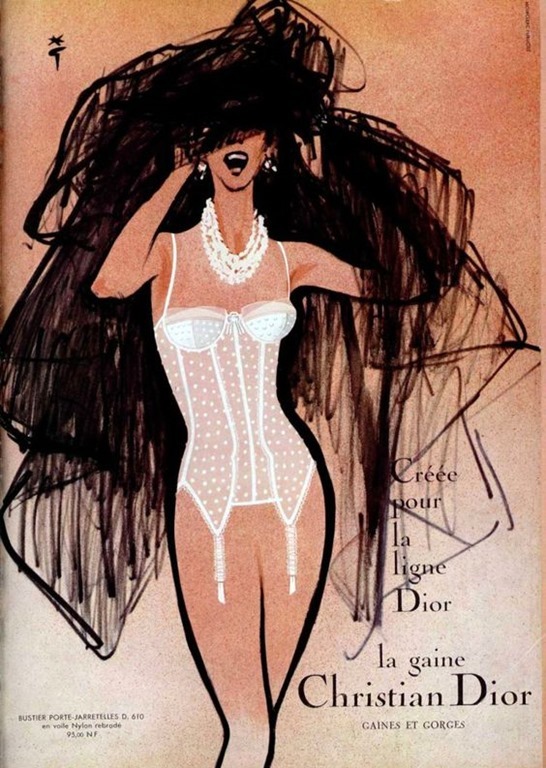 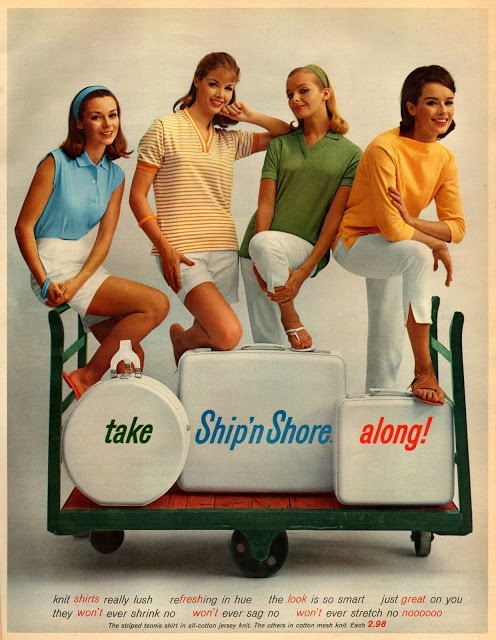 The pictorial below features a staple of vintage clothing ads from an era that profoundly influenced fashion innovation. 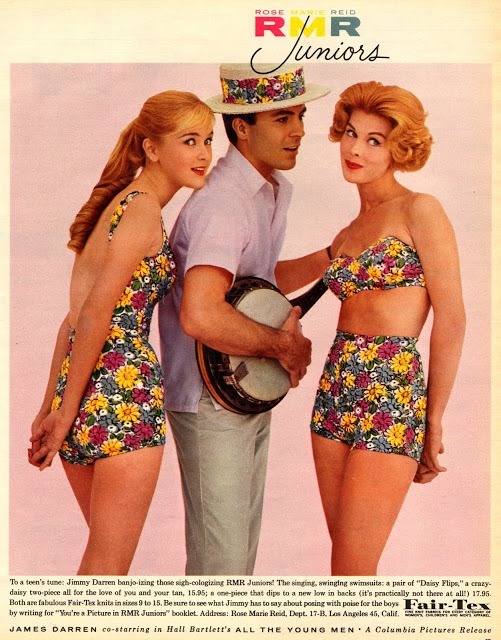 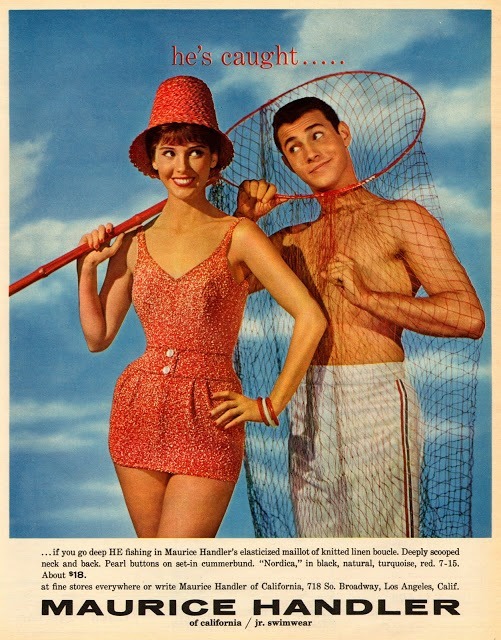 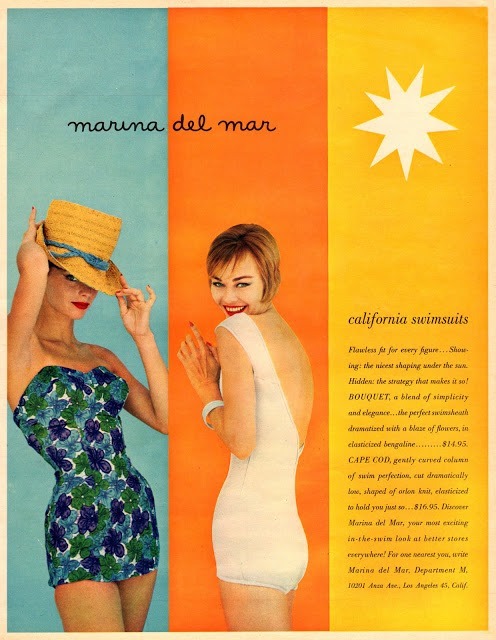 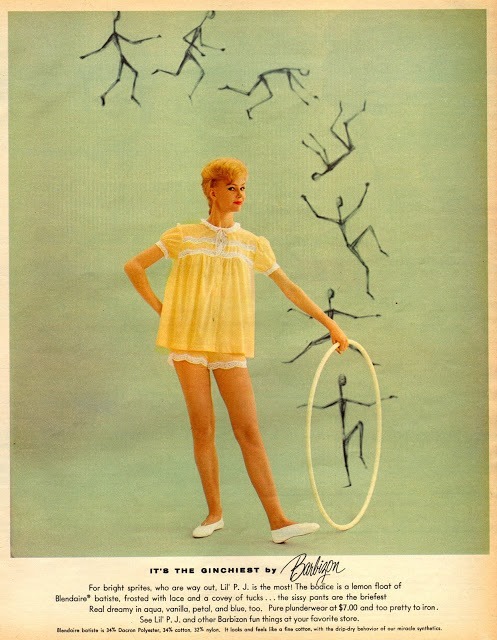 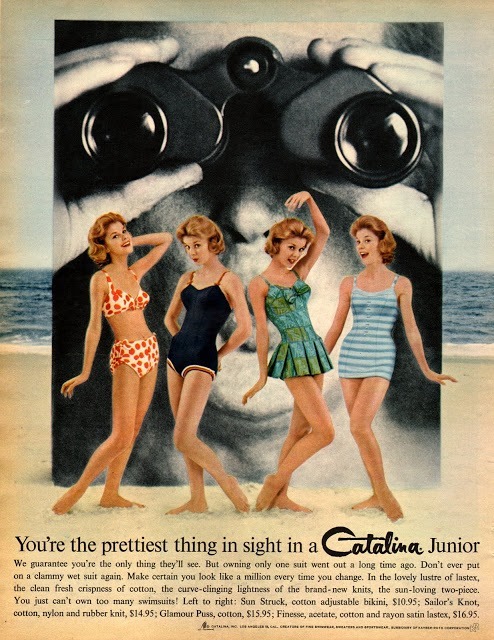 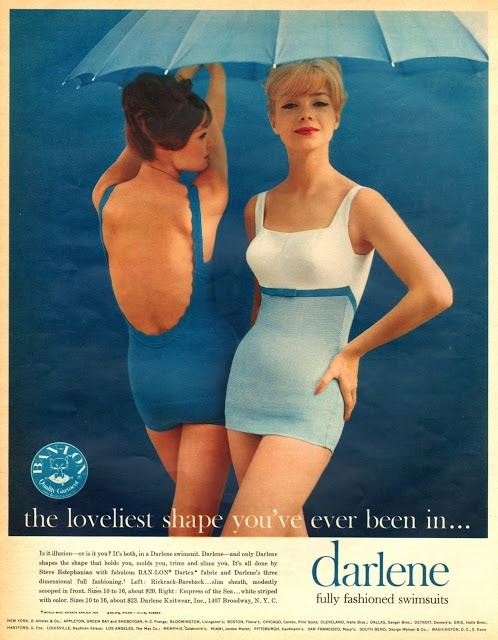 Early 1960’s advertisement for Catalina Junior bathing suits. 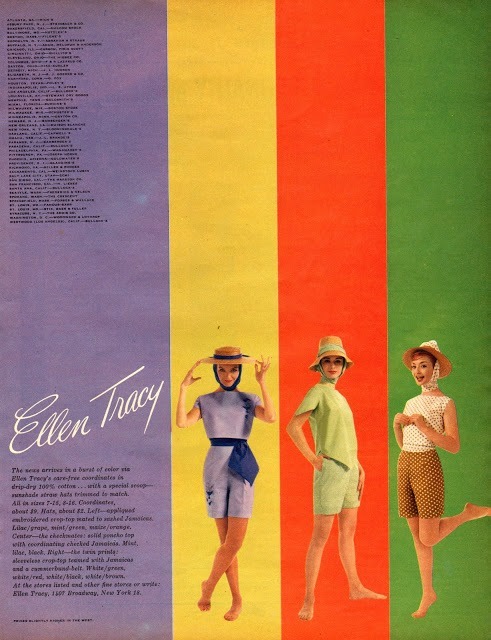 1960’s ad for Ellen Tracy clothing. 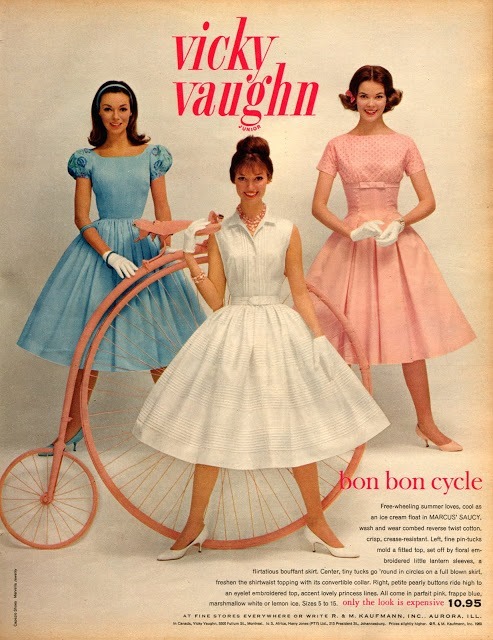 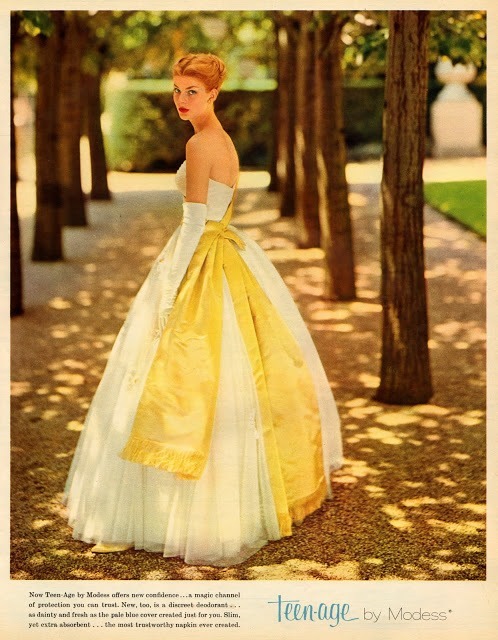 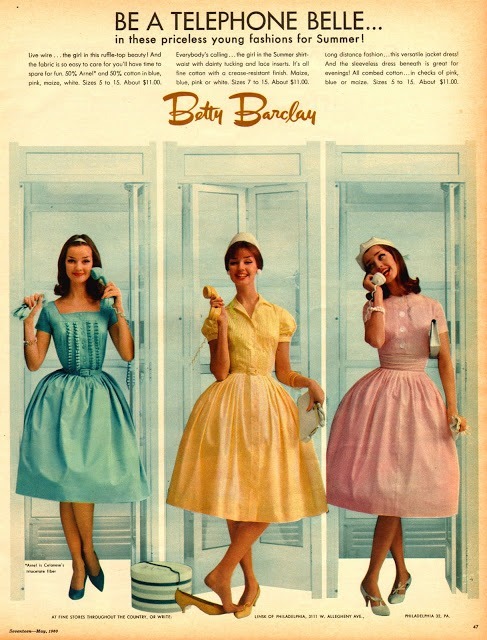 Vicky Vaughn junior dresses advertisement from the 1960’s. 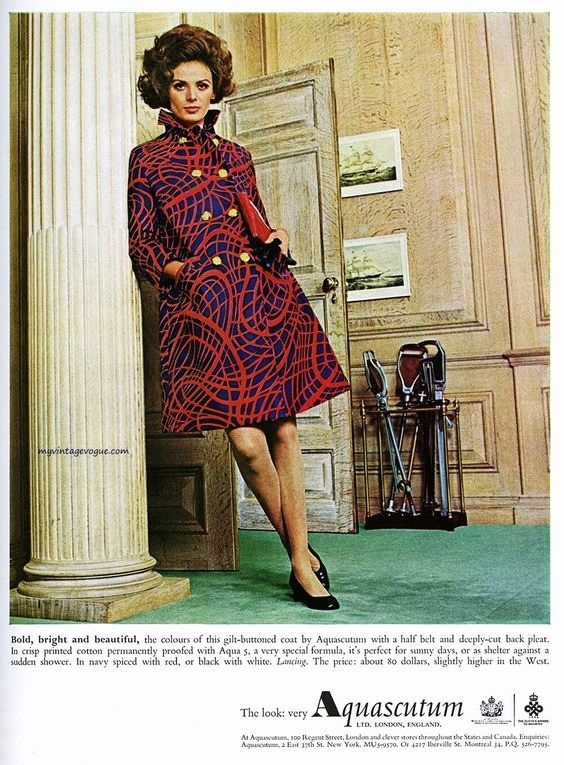 Previous post: From fake fur to thick knit and puffy coats, here’s an early look at Fall/Winter 2018 styles.